The Universal Finger Grip Holder is designed to hold a large amount of cell phones and electronic devices. The holder comes with (3 sets) of four flexible rubber coated fingers placed along sides to grip your device. The fingers open by squeezing the ends to open the small finger arms. The bottom of the holder includes a back plate that adds support to the device being held by the mount. 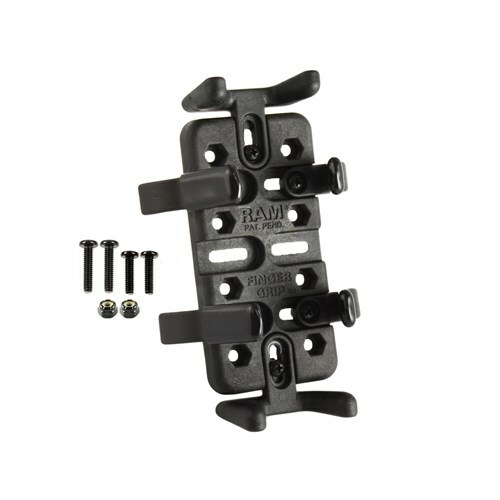 The RAM Mounts Universal Finger Grip Holder has many exciting features for users of all types. 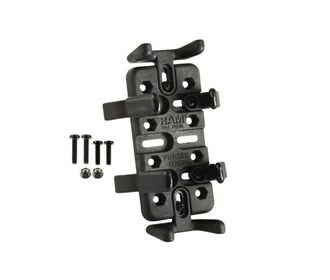 The RAM Mounts Universal Finger Grip Holder is sold as a Brand New Unopened Item.